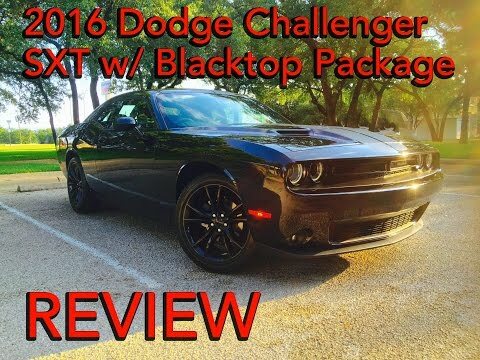 The 2016 Dodge Challenger blends classic muscle-car flavor with computer-age technology and performance. Outside is take-no-prisoners styling and under-hood choices range from a 305-horsepower V6 to no less than three Hemi V8s, topping out with the supercharged SRT Hellcat of 707 horsepower. This much is undisputed: There has never been a muscle car like this. The Dodge challenger is and will always be the best American muscle car. I absolutely love how my car rides! It is so smooth that I cannot even feel when I am going 60mph - 70mph. Unlike other cars the vast majority, you can feel the drive act a bit differently when doing so. It has an amazing performance that cannot be compared. I have to say my favorite features are, the climate controlled leather seats, the automatic rearview dimmer. The most utilized feature has to be the Apple car play! The Dodge challenger is and will always be the most reliable and comfortable muscle car. So far I haven't had any problems with my vehicle and I hope it continues to stay that way. I have always had Dodge cars and I'll always buy them. Dodge girl for life! My Dodge challenger is my absolute dream car. She's beautiful and drives like a dream. Dodge cars have always been in my family and they are super reliable and last through the years. I plan to keep the challenger for years and our family is actually looking to buy another Dodge car soon because we've loved it so much. It is a sports car so the only downside is blind spots, but still pretty easy to navigate and does not seem too cramped even for a 2 door. Love my Dodge. The size of the engine and the hose power it is capable of.